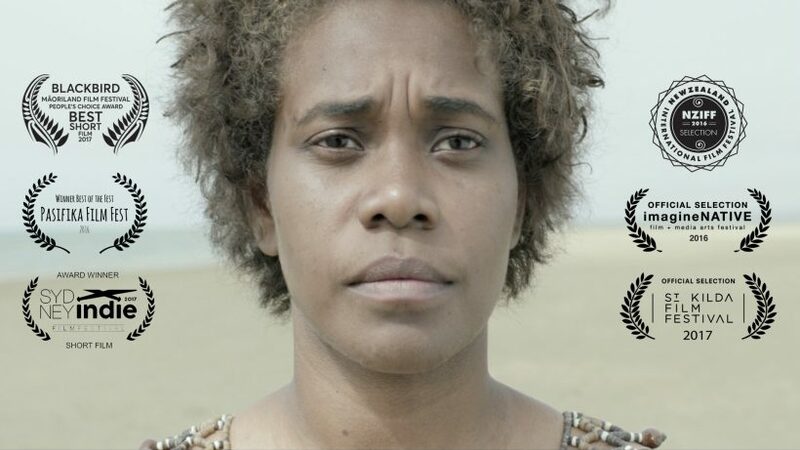 After last year’s NITV national screening debut, BLACKBIRD (13 mins, PG) is now available to screen online for free for those in Australia, via the SBS OnDemand platform. Watch on your computer or phone until [EDIT: 17 January 2019] previous showing 9 December 2018. BLACKBIRD screened at the New Zealand International Film Festival in July 2016; imagineNATIVE Film and Media Arts Festival in Toronto, Oct 2016; the Pasifika Film Festival, Sydney and Brisbane 2016, where it picked up the ‘Best of the Fest’ award and Maoriland Film Festival where it received the People’s Choice Audience Award for Best Short. BLACKBIRD was awarded Best Drama and Best Female Lead (Regina Lepping) at Sydney Indie Film Festival, 2017. Set in the late 1800s, the film follows the story of Solomon Islander siblings, Kiko (16) and Rosa (24), who were kidnapped from their Pacific island home and forced to work on a sugar cane plantation in Queensland. In a world where exploitation of Pacific Islanders for cheap labour is legislated and conditions for islanders are akin to slavery, Rosa struggles to keep an eye on her spirited young brother as he journeys into adulthood. The film stars Solomon Islanders Jeremy Bobby & Regina EM Lepping. It was completed in 2015, shot on location in Mackay, Queensland. Running time: approx. 13 minutes. Rated PG. Amie Batalibasi is currently developing the feature adaptation of the award-winning short film BLACKBIRD.